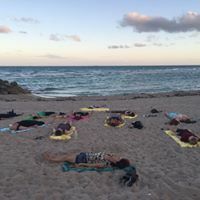 Sweat out those toxins and rejuvenate your spirit under a gorgeous sunset at our Mantra Monday yoga class. Previous experience is not required. Just show up with some water, a towel and positive energy. After yoga, head to 27 Restaurant & Bar for a post-workout happy hour and meet us in the courtyard at 5:45pm on Monday!